It’s that time of year again — the time to review the past year and set new attainable but challenging goals for 2015 and beyond. Do you have a plan for what you want to achieve in life? 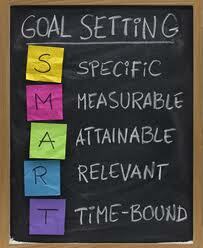 Goal setting is practiced by less than 1% of the population. If that’s a testimony of where most people are in terms of the desire to achieve anything in this life, mankind as a whole isn’t going anywhere desirable. Perhaps that is a bit pessimistic, but I learned a long time ago that if you don’t determine where you’re going, it will be determined for you. So what exactly is the Christian’s opportunity in this life? Very clearly it is to rise up to answer God’s call. Our primary goal is to be who God has called us to be and to do what God wants us to do. Very simple but so misunderstood as to what God’s will is on an individual basis and how to achieve it. By the grace of God deposited in me, I believe I can help you figure this out for your individual life. If you’ve been reading my blog for any length of time, you’re probably aware that I’ve done a good bit of Biblical research in my life. I spent about 10 years doing pretty much nothing except in-depth word studies in God’s Word. I’d take a word like apostle and search out every usage in God’s Word to see exactly how God used that word and what meant by it. I did this with dozens upon dozens of words. The build-up effect has been dramatic. Soon I was reading verses containing many of the words I did in-depth research on. Not only did my understanding of what was written in those verses increase, but I gained a scope of God’s Word that is absolutely necessary to clearly understand God’s plan for the ages. I slowly gained a rather vast understanding on topics and subjects that were altogether unknown or that were clouded with questions before those studies began. In addition to those intense years of word studies, for over 20 years I led home fellowships where I taught God’s Word and shepherded God’s people. The practical application of what I was learning intellectually helped cement those truths I was learning like nothing else ever could. I tell you this not to brag and not to bring attention myself but to assure you that behind everything I publish there is a ton of dedicated research. I don’t take God’s Word lightly and I don’t believe everything everyone says that it says. I do my own due diligence to see whether those things are so or not. Acts 17:11 These [in Berea] were more noble than those in Thessalonica, in that they received the word with all readiness of mind, and searched the scriptures daily, whether those things were so. One subject study I did that spanned a couple of years was on how to determine God’s will for your own life. The result was a book I published that’s available on Amazon or in PDF format here: http://christiangoalsetting.org. It’s called Christian Goal Setting and Achieving: Pressing Toward the Goal for the Prize. There’s an introduction video on the page linked above and I encourage you to watch it and see if this is something that can help you understand what it is God wants you to be and do. The process of goal setting is often started and abandoned by well-intentioned people because they don’t know how to do it effectively. Many people I know gave up goal setting because they never achieved the goals they set when they tried it. They gave up goal setting as a viable life-planning tool because they didn’t get the results they wanted. Now there are many reasons why people don’t achieve goals and this was part of the study I did. I found that one of the main reasons is that the goals they set are not ‘worthy’ goals. What I mean by that is that the goals are not meaningful enough to those who set them for those people to actively carry out what they need to do over a long enough time to actually achieve those goals. Here’s a simple example of a common goal many people set at the start of a new year. Goal: I’m going on a diet to lose 20 pounds. Is that a worthy goal? If you need to lose weight, then of course it is. This goal is fairly specific, is measurable and is probably attainable depending of course upon your physique, but the goal, as stated, doesn’t say why it’s being done. The benefit of reaching that goal is undefined, hence, when the ‘rubber meets the road’ and the person who set the goal is staring into a plate of delectable chocolate cake, there’s a good chance that cake won’t last very long. Without buying into the benefit of a stated goal, the motivation to accomplish it is lacking. Any goal needs to be relevant in order for us to pursue it for any length of time. Adding the reason why you’re going after the goal is how you add relevance to it and make it a goal you truly want to achieve. Another thing missing in our sample goal is a time limit. By what date are you going to lose those 20 pounds? Give it a date for completion. Give enough time for the goal to be attainable, but also make it short enough to keep your interest and to make it challenging. If you allocate a year to lose 20 pounds, I think you might lose interest and never achieve that goal. If you make the goal date too short, you won’t be able to accomplish it and you’ll give up on it out of frustration. Let’s improve that goal to incorporate all the elements we discussed so that it is a worthy goal that you will take adequate, consistent action to attain it. Revised Goal: I will diet and lose 20 pounds by February 2, 2015 so I can have a healthier heart and look my best. This goal is specific, measurable, attainable, relevant and time-limited. For most of us who are 20 pounds overweight, this is a worthy goal that can be achieved within the allotted time and provides a significant enough benefit to pursue it to completion. It’s what’s called a “SMART” goal. There’s much more to goal setting for Christians than what I’ve presented here. Christian goal setting and achieving starts and ends with God’s will. How well do you know and understand God’s will for the Christian church as a whole, of which you are a vital member? How well do you know God’s will common to every Christian? If you know these things, then you’ll be better equipped to determine God’s will for your own life. My book, Christian Goal Setting and Achieving: Pressing Toward the Goal for the Prize will help you learn and understand these things so you can learn how to set worthy goals in your own life that God will bless. Check it out and see if it’s something you can use to set worthy goals for 2015 and beyond. Get Christian Goal Setting and Achieving here!